There’s something intriguing about houseboats. Instead of living life on the open road RV-style, a houseboat offers a charming alternative, at a slower pace. Houseboats can be personalized much like other large traveling homes, but their care and keeping is unique. Locations can also be limited, depending on how big the boat is, where you’re wanting to go or stay, and weather can present its own challenges. That being said, the idyllic view remains constant in wanderers’ minds, and though I’ve never had the luck, I’d jump at the chance to try it. Obviously, knowing the different types, the options for purchase, rent, or vacation, and where to find them should be the first step, and we’ve provided easy entry into this fascinating world below. There’s a massive difference in design between boats used for weekend getaways and the boat one calls home. The boats that are taken out over the weekend are scarce on storage space with more room for entertaining, while liveable boats need a setup that will allow its inhabitants to store everything they need. Some liveable boats are squatter in shape, as they won’t be doing a lot of travel, while recreational boats may be faster and slimmer. It’s important to take into account your own needs when seeking a boat. You want a good fit, one that will ensure you enjoy your experience. Are you the sort of person who needs a lot of light? Look for a boat with large portals, and a body of still water in which to reside. If you’re sharing space with someone or multiple people, will you all need your own space? Are you willing to share? Other practical concerns are electricity (you may want to invest in an inverter), a separate shower, and a gas stove with multiple burners (how often will you be cooking?). If you can, find someone who has lived on a boat and listen to their stories. What stands out to you as most important for your own livable boat? What are some things you may not have considered? Most of us have dreamed at one time or another of being aboard a yacht, and some are lucky enough to achieve that dream. If you’re thinking of living aboard something that luxurious, however, but are not going to be traveling, you may want to consider a luxury houseboat. Their interiors resemble modern-day apartment living, though of course the materials have been upgraded to the ultimate in comfort and design. Trifecta Designs, for example, is a joint venture between Sumerset Houseboats, Thoroughbred Houseboats, and Stardust Cruisers, focusing on the luxury houseboat market. A browse through their photo gallery shows an attention to details, stylish, smart use of space, and many technological upgrades. A few of my favorite things about the Thoroughbred Houseboat line in particular is that they are known for their glass siding, which allows all the sunshine inside, a problem for some houseboats with small windows. Some of their other luxuries include a drop-down TV and a gas fireplace, perfect for a cozy night at home. If you’re interested in a luxury houseboat, you may want to take a look at Trifecta Designs and what they have to offer. You can visit the Thoroughbred Houseboats site, or drop in, if you live in Kentucky. Barge House – What’s the difference from a houseboat? Depending on where you live, what water is available nearby, and how long you want to live on the water, you may want to consider getting a barge house instead of a houseboat. What’s the difference? 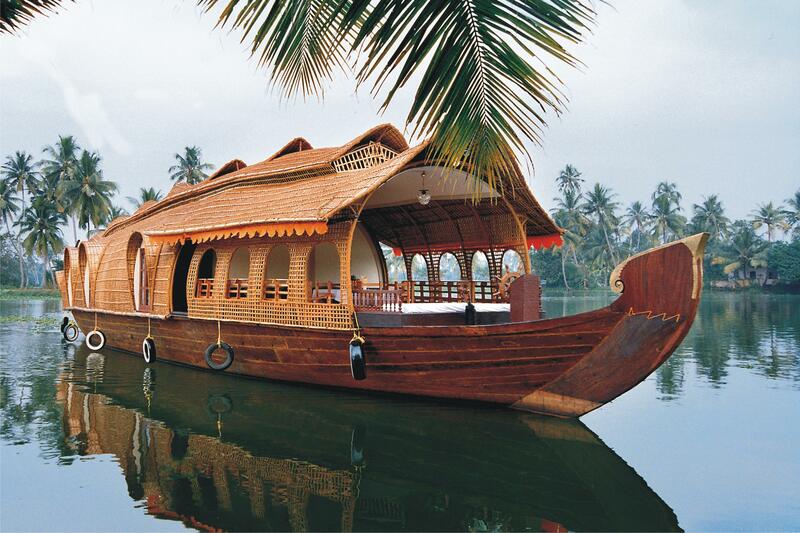 A houseboat is typically built to stay in one place, anchored and on floats. A barge house, on the other hand, is made so that if the owner decides to find calmer waters, it can be towed (or, depending on the boat, sailed down the river). There are pros and cons to each of these, but if you’re wanting a more nomadic lifestyle, one where you can explore the sights and sounds of a place and then pull away from shore and go on to another port, a barge house might be your preference. There are also rules that regulate houseboats that do not necessarily apply to barge houses, depending on where you live. Barge homes are quite common in Europe, particularly in and around France, where there are plenty of locks and canals to be navigated. Barge home communities thrive, with friends reconnecting after months spent traveling to other areas. Barge homes are easy upkeep, inexpensive to fuel, and can be cheaper than maintaining a home on land. While most might prefer a short stay aboard a houseboat, there are those who are in between wanting a weekend away and buying their own boat. That’s where long term leases come into play. While there aren’t as many options in this market niche, there are still a few markets, primarily near the coast, such as in Washington, California, and New York. Some things to keep in mind when considering a long-term lease are any membership fees that need to be paid (like the Marina live aboard fee, or storage fees), where you’re going to store your excess items while you’re living on the water, and what to do if there is any danger from inclement weather. Staying offshore a bit longer can give you a real feel for how much you will enjoy living in a smaller space, and if you want to stay in one place or need something that will allow you to travel at a moment’s notice. If you’re interested in seeking out a long-term lease, you can begin by checking for options on rental sites like Trovit. You can also look up Marinas near where you’d like to live and see if they have any listings available. Another way explore the world of long-term boating is to take a river cruise. There are trips available worldwide, to such locations as the Canadian Maritimes, Belize, Cuba, Japan, and Spain. There are also thematic cruises such as the Viking River Cruise, and historical cruises through some of the famous waterways in the Southern United States. Since river boats need to be able to navigate rivers (some of which can be quite small), the amount of people on board is limited. This would make a great trip for an extended family (there are typically around half a dozen cabins), or a group of friends. There are stops along the way, depending on which river boat vacation you choose, and often you’ll be able to catch the scenery and important landmarks from deck. Most trips last between 5-12 days, with a starting price of around $2,500.00. Due to limited space, you’ll want to purchase your tickets as early as possible and confirm to ensure your spot(s). You may also want to invest in dramamine, in case someone in your party gets nauseous as the boat rocks. Does this option sound like a perfect opportunity to experiment with living aboard a boat? You can start looking at vacations by checking out USA River Cruises. If you’re leaning toward making a reservation and stepping off land for a few days, you may want to check out the following houseboat rental agencies: Houseboat Rentals Across America, Fun N The Sun Houseboat Rentals, Book a Houseboat (worldwide), or Forever Houseboats. Pricing will vary, so be sure and consider off season versus those months when everyone wants to be on the water. 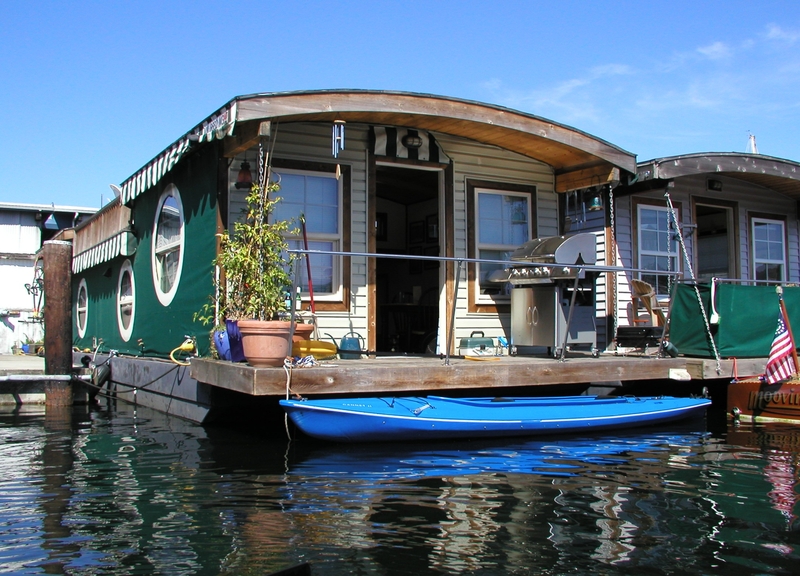 Country Living also has a list of the best dozen houseboat rentals. A few things to consider before booking a houseboat rental: How are you getting to and from the houseboat? How long will you be staying? Are you near enough to a town or city in case you need supplies? Once the necessaries are decided upon, it’s time to hunt down a rental option. Like most things these days, you can do so online. Some of the most popular houseboat rental services have been listed above, such as the Houseboat Rentals Across America and Book a Houseboat. At the HRAA website, you can request information, call their toll free line, or manage an online booking. They currently have houseboats available from Florida to California. BAH, on the other hand, mostly handles things online, as it is an international company based out of The Netherlands (they do have a number available should you need assistance and prefer that method of communication) and each houseboat is rated by guests so you can rest assured that you’re going to have a wonderful time aboard. The top three destinations, according to BAH, are Amsterdam, Berlin, and Paris. There are also travel agencies who handle all the planning, so that your entire vacation from start to finish, is entirely stress-free. If you’re interested in this option, you can check out agencies such as Hilton Grand Vacations and Travel Agent Central. This is where the majority of the houseboat rental market seems to be heading. There are even articles about the coolest ones, like this one from Thrillist – ranging from California to Texas to Georgia to Florida to New York to Michigan. You can start there or you can head directly to AirBnB and start the process for booking a few nights off land. 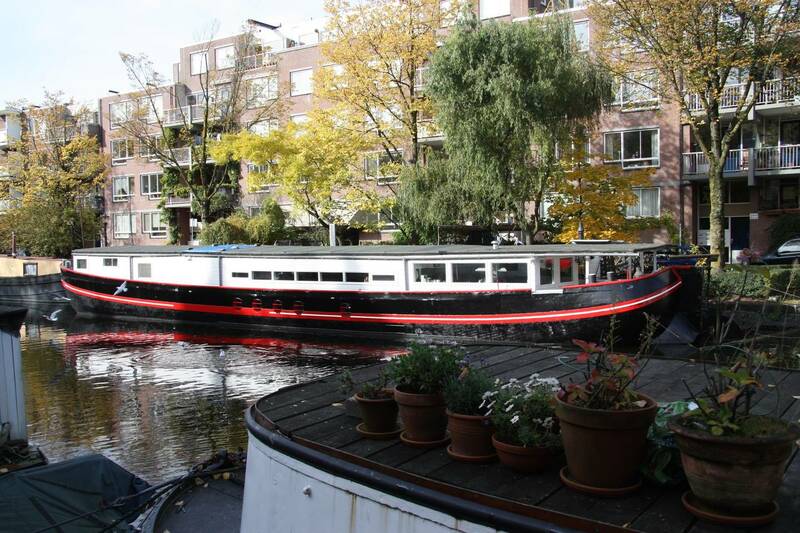 While there are many popular companies that advertise houseboats, there doesn’t seem to be such a huge push for barges. While they are available for sale, they are mostly found on realty sites like Zillow, or combined with houseboat sales like on the Houseboats and Barges website. Barges are a good idea for those who want to travel but want to do so slowly, and have a long stretch of locks, canals, rivers, and the like on which to travel. You can also anchor them somewhere warm during the cooler months and then hightail it to somewhere nice and cool once the hot weather hits. There’s a lot more to do aboard a barge because of the navigation required, but if you’re interested in slowing life down and taking a breath, it might be the best option for you. Along with the barge, it is probably a good idea to consider what you’ll be hauling it with, or where it will be anchored. If you’re wanting to move overseas with it (to Europe, for example), you’ll need to be sure that you are following all the rules and regulations of the country in which you’ll be residing, and that you have all the proper paperwork. Some countries are more lax than others, so if you need help navigating, hiring someone who can walk you through the ins and outs is worth its weight in gold. If you love the idea of living on the water, or at least having the experience for a few days, take a chance and look into one of these options for yourself. Cross that item off the bucket list and go offshore. Take some friends or family members with you, see some new places, and fall asleep being rocked by the waves. Plan your adventure, speak with someone who can teach you the ropes, and prepare for the adventure of a lifetime. You’ll have plenty of stories to tell once you decide to step back on land again.